ENNIS—They call him Mad Max. 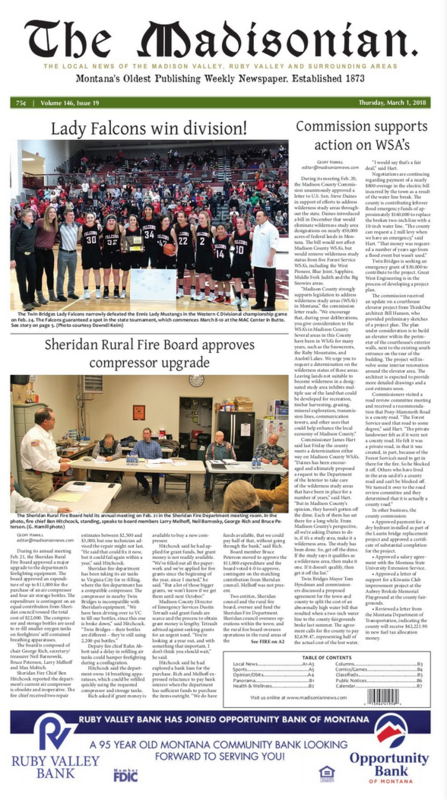 Madison County’s District 3, which includes Ennis, Big Sky, Cameron and the surrounding areas, is home to a piece of equipment few other counties in Montana are fortunate enough to have. New, they cost somewhere around $3 million. Madison County got Mad Max for a song.